I know that a few of you have been following my recent journey. I have finally taken back control of my life. I have fought & struggled with my weight for years. I have tried a few times in the past only to become disheartened, discouraged, & eventually fall right back into the same ole routines. I have finally found something that works for me. I started Plexus Slim a little over 2 months ago. It is changing my life! I have lost 25 pounds & 27 inches in those 2 months. I am overcoming my sugar cravings and my Mt Dew addiction. In exchange for these not so good habits, I am learning to make better choices. I am slowly adding exercise back into my life when I can make the time. 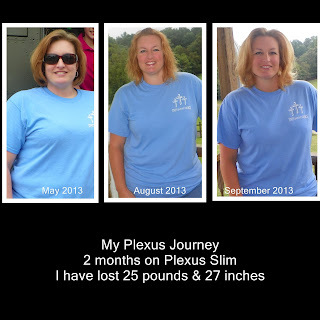 Not only is Plexus making me healthier, but it is providing an income for my family. Since I have been a stay at home mother for almost 5 years, I have only made a little extra money here & there. But through Plexus & by God's grace, I am steadily adding to our family budget & we are slowly paying bills off. I became an Ambassador with Plexus Slim on July 31 of this year. I joined strictly for my discount because I KNEW that this product was working for me & I wanted to save as much money as possible. My husband looked at me that night & told me that since I had the opportunity to sell it, I should at least try. I said, ok, but I really didn't think I could. I was just trying to appease him. I made a couple of posts to Facebook that night & had my first order the next day. I sold over $900 that first week! And before August was over, I sold almost $3000 & had became a Silver Ambassador! My total pay for the month of August was $$$$! I couldn't believe it! I was HOOKED! I KNEW that this was an opportunity that God had placed in my lap & I wasn't going to waste it! As September rolled around, I started thinking about the future. I didn't know how I could build this business. But I was sure that God would provide a way. Halfway through September, I really started looking at the next level in Plexus - a Gold Ambassador. I needed a total of 20 people under me and all 20 of those people needed to reach $120 in sales. Now, $120 in sales with Plexus is EASY, but that many people?? I just wasn't sure. I had 11 people already, but to add 9 more people & everyone reach their sales in 2 weeks. That was a HUGE goal! I kept praying. I knew that if it was God's will, it would happen! Little by little, my goal started looking attainable! Well, I am TICKLED PINK to announce that as of yesterday September 30, 2013, I became a GOLD Ambassador with not just 20, but 21 people under me reaching their sales goals! I also have the pleasure of knowing my team added 3 Silver Ambassadors in September to make a total of 4. And my total pay from September is going to be mid $$$$! 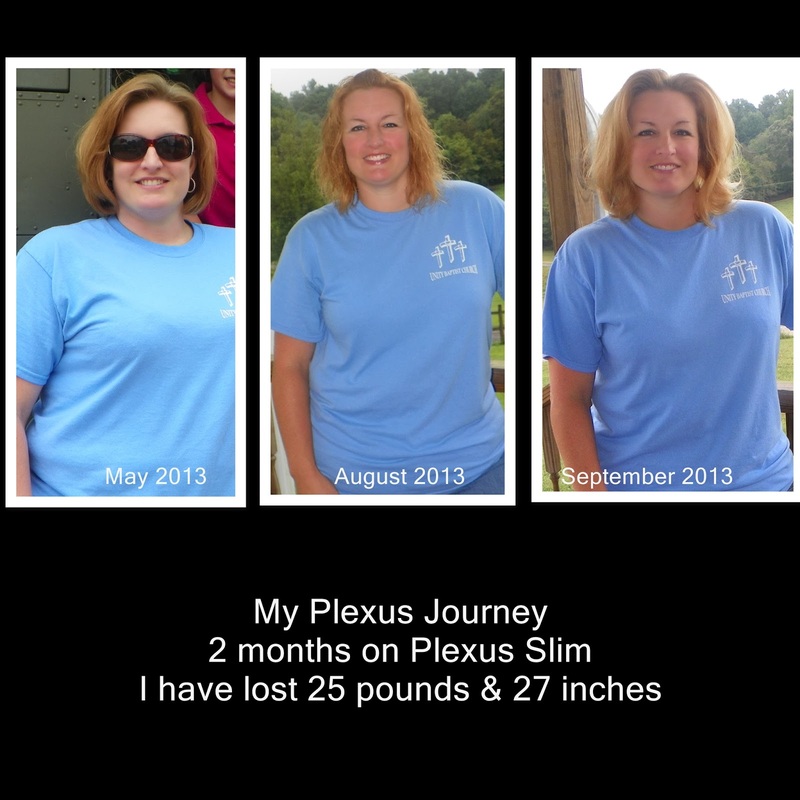 I just can't get over how much God is blessing me, as well as many others through Plexus! Just What Do You Eat?